The Hungarian (Magyar) Vizsla or Hungarian Pointer is a hunting dog with an aristocratic appearance, a friendly character and one unique feature. In a jump, it can change the direction of its movement. Vizslas are very clean dogs which do not have a dog smell. Smooth and handsome, they are aristocrats of the dog world. Training a Hungarian Vizsla is a responsible though exciting activity. 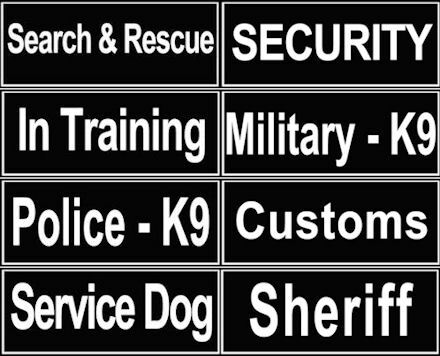 They are fond of running, and they do run fast. 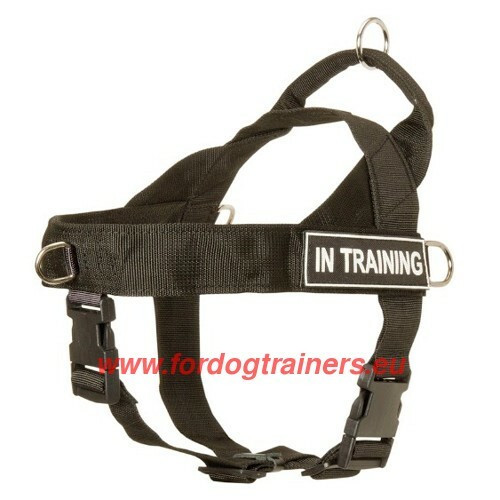 Get a reliable nylon dog harness for you majestic Vizsla - make an order of H17 in only one click! 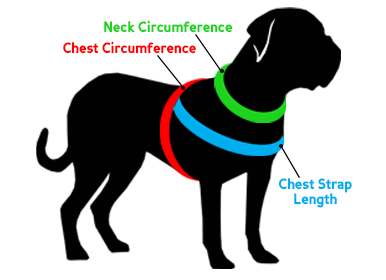 This multi-task nylon harness for dogs is indeed an incredible dog product. 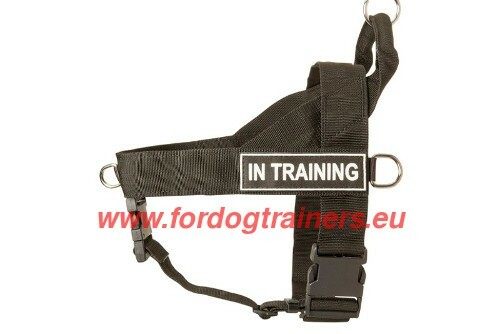 Made of nylon, resistant to a whole group of factors, such as chemicals, mold, rot, fungi, and, of course, water, this dog training harness will definitely pay off (in case you think you take the great risk when buying online). You dog will be trained and walked comfortably rain or shine, for the nylon harness is so hard to spoil and, besides, easily stretched and colour-fast. There are girth and under-belly straps which help to adjust the harness properly according to the Vizsla's elegant body countour, put and taken off easily with one click of the quick-release buckle. 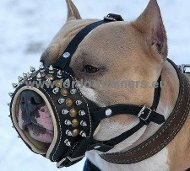 Metal rings (by the way they include a front ring for better dog control and side D-rings for pulling activity) are nickel-plated steel made, thus resistant to corrosion and other external effects. 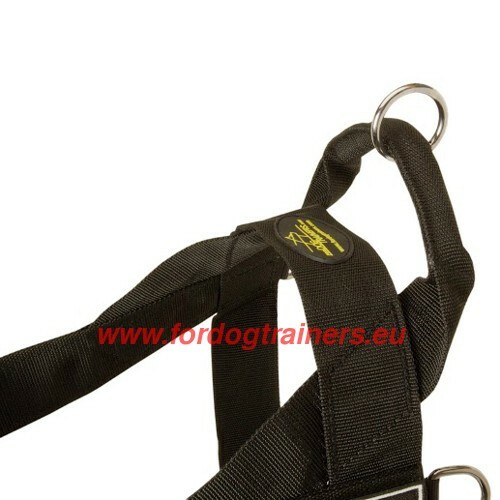 Strong plastic buckles will serve you as long as possible if you use them as intended, of course. 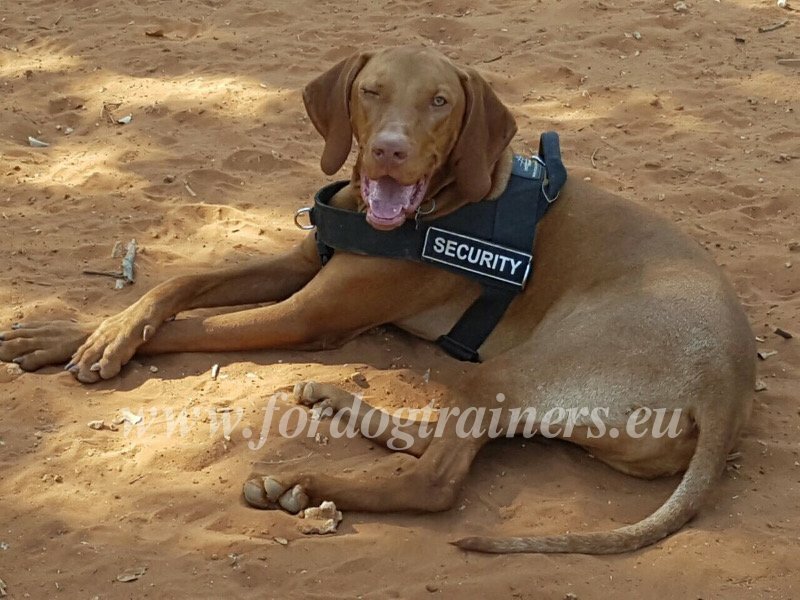 These multiple degrees and the light weight of the gun dog training harness with patches make it suitable for quite a few activities with dog: hours-long walks, jogging, biking, training, tracking and whatever you invent for your lovely Vizsla. Choose the right harness size and enjoy each stream of sun, as well as each drop of rain! 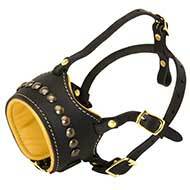 See other top-quality harnesses for dogs, handcrafted dog leads, decorated walking and training leather dog collars and other outstanding products for your dog in our on-line pet store!